Before we had air-conditioning or even ceiling fans, the only way we had to keep cool was the hand-held fan. Think fans are just simple folded pieces or paper that people wave about? The Fan Museum in Greenwich will have you think otherwise. 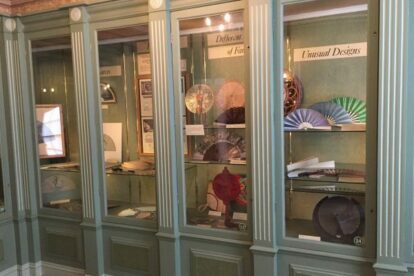 Although fairly compact, the museum squeezes history lessons, fashion trends and quirky facts into this fan collection. In one corner you’ll learn about the various materials that goes into making a fan, while in another you’ll see enough feathers to make a peacock jealous! The Fan Museum also updates its temporary exhibitions frequently, giving fans something new to ponder with each visit. Currently, curious visitors can learn all about the ways that artists have used animal imagery to design fans. If you’re feeling a tad hungry after viewing the fans, there’s a hidden garden where you can dabble in an afternoon tea. Make use of it while the British summer is in full swing!